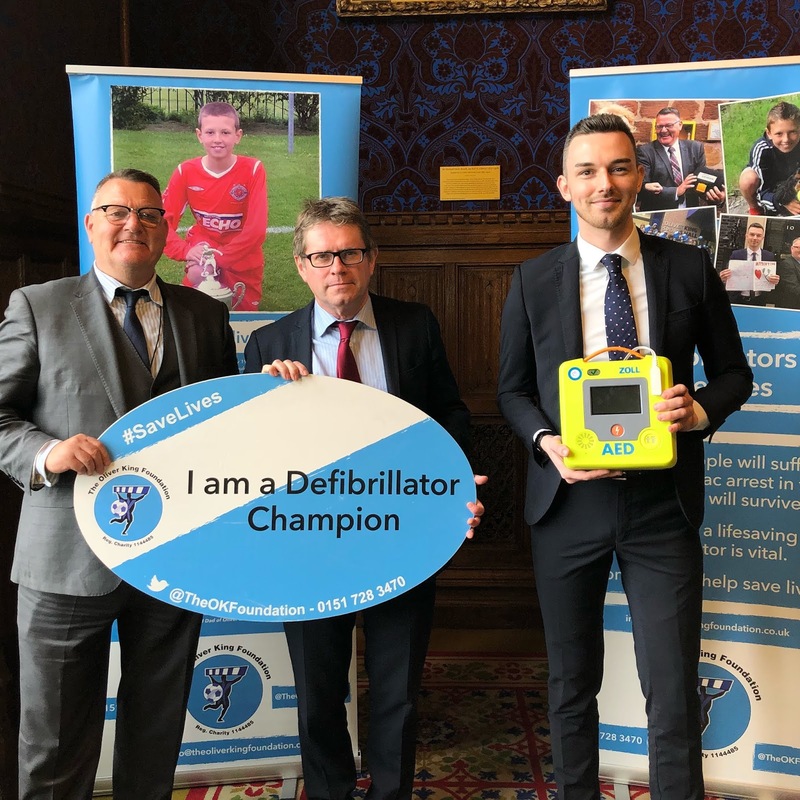 This week, Kevin Brennan MP met with The Oliver King Foundation in Westminster to show his support for every school to have a defibrillator by 2020. The Oliver King Foundation was set up in 2012 following the death of 12-year-old Oliver. He died from a sudden cardiac arrest whilst at school. If a defibrillator had been available on that day, it could have saved Oliver’s life. Every single year in the UK 600 young people die from Sudden Cardiac Arrest. It is estimated that 270 of these deaths occur in schools. Every week in the UK 12 young people die from sudden cardiac arrest. Nearly half of those deaths occur at school. Asthma is a well-known risk factor for Sudden Cardiac Arrest. Recently a study from Denmark has found that children and young adults with diabetes have seven times the risk of sudden cardiac death, than young people without diabetes. Only 1 in every 10 who suffer a cardiac arrest survives. Early access to a defibrillator is vital. For every minute that passes following a cardiac arrest, chances of survival drop by 10%. Studies have shown that access to a defibrillator can increase survival rates by a massive 75%. “I am proud to become a lifesaving Defibrillator Champion for Cardiff West. It is vital that we take action to prevent any loss of life. I will be working with local schools to fundraise and get lifesaving defibrillators in our area, protecting our school children and teachers. For more information about Defibrillator’s please contact The Oliver King Foundation on 0151 728 3470 or email campaigns@theoliverkingfoundation.co.uk.